Just a thought, any plans to allow animated GIF's into the gallery? I like the JPG to help reduce the size of the images, but I have also had the desire to include some animated GIF images. My current solution is to include a link in the description to the GIF. You can use GIF images in your gallery. 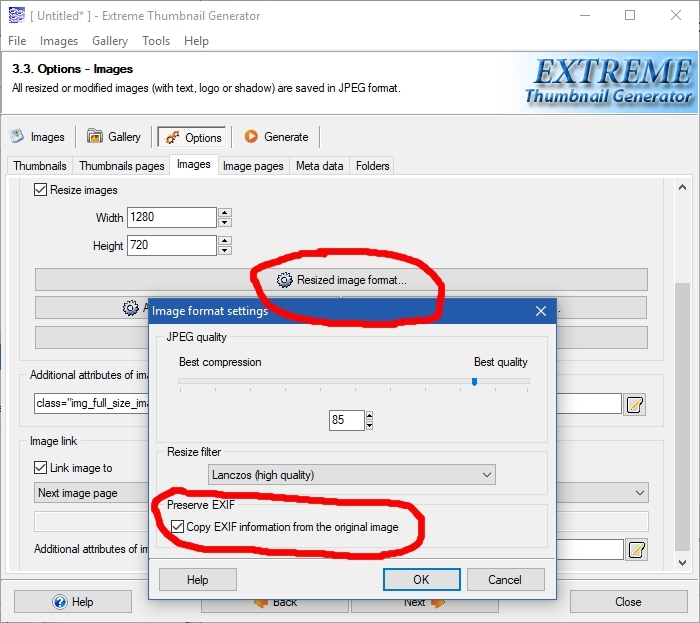 You just need to make sure that Extreme Thumbnail Generator doesn't have to do anything with the original images - it doesn't have to apply effects, re-size, rotate, apply overlay text or images, remove EXIF information and so on. Once ETG decides that there is nothing to do with the original image file - it simply copies it, without JPG conversion. The trickiest part here is EXIF preservation. By default ETG tries to remove EXIF from the original images, so you have to turn that option on. Take a look at the below screenshot to see where you can do that.